When you’re on a tight budget, it’s easy to get tempted to buy second-hand tires instead of brand new ones. You think: well, they’re a lot cheaper and they look like they’re still in decent condition. You should know, though, that car servicing shops in Singapore do not recommend this. After all, you have no idea of the history of that rubber. And because proper tire conditions are crucial for your safety, it’s worth investing for the best ones that are sure to last for a longer period of time. Used tires may have been through several repairs or even accidents. If you’re considering of purchasing second-hand tires, you should know some of the problems you will possibly encounter. 1. Subtle Defects: Most consumers are not skilled enough to detect problems that car experts would notice immediately, such as worn out mounting bead, perhaps due to badly done car repair job or caused by removal of tires. 2. Mismatch Tires: For a smoother—and safer—drive, all your wheels should have the same tread pattern, wear, construction and age. It’s not advisable—and possibly even dangerous—to have a replacement tire that does not match the rest of your other tires. 3. Unknown Effects of Aging: Tires deteriorate over time. Some manufacturers in Singapore do not recommend installing tires that are six years or older, while others recommend replacing tires every 10 years at merlin fast car repair services in Singapore for your servicing needs. Because it’s impossible to see how aging weakens a tire’s structure, an older tire—whether or not it has been used—should not be trusted. When looking for tire replacements, check the manufacturing date at the DOT serial number embossed on the tire’s sidewall. The last four digit of the code is the date of manufacture: the first two digits are the week, while the last two are the year. Therefore, the code 2515 means that the tire was manufactured on the 25th week of 2015. Whether or not your tires are second-hand, it’s important to check each one of your tires on a regular basis. If you encounter any of the following, have a car servicing expert check and fix the problem, or have your tires replaced. •	Extremely worn tread: Modern tires have tread-wear indicators built into them, which signal the allowable depth of 1/16-inch. •	Uneven tread: This may be due to improper inflation, damaged tires, or problems with suspension components. •	Excessive tire vibration: Vibration in tires may be a sign of misaligned, bent or unbalanced wheels. It may also signal weak spots that may lead to tire failure. •	Bulges and blisters: If you see bulges and blisters on a tire’s sidewalls, replace it at once. 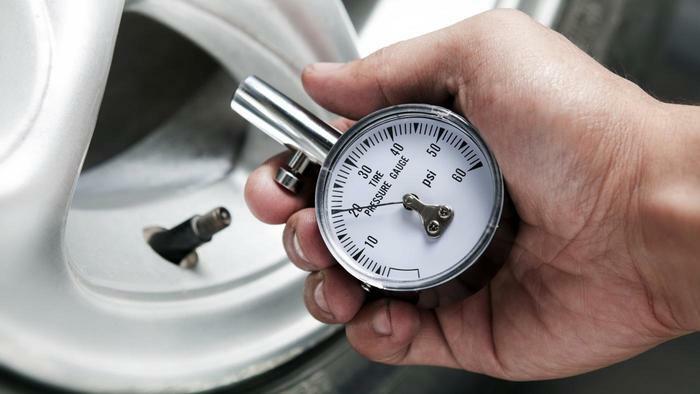 Keeping your car tires inflated to the right pressure is the easiest way to help maintain good mileage. If you want to extend the life of your tires even further, here are some tips to keep them in the right air pressure level. Most tires have ‘Max Cold Press.” number embossed on their sidewalls. As recommended by car repair shops, do not follow this number for your tire’s air pressure. The right air pressure is printed on the placard riveted in the rear edge of the driver’s door. This is the manufacturer’s recommended pressure levels based on the size and weight of the tire. A lot of drivers like to play with tire pressures to make the ride firmer or softer. Most cars today have warning lights that turn on if pressures are more than 25% of the baseline. 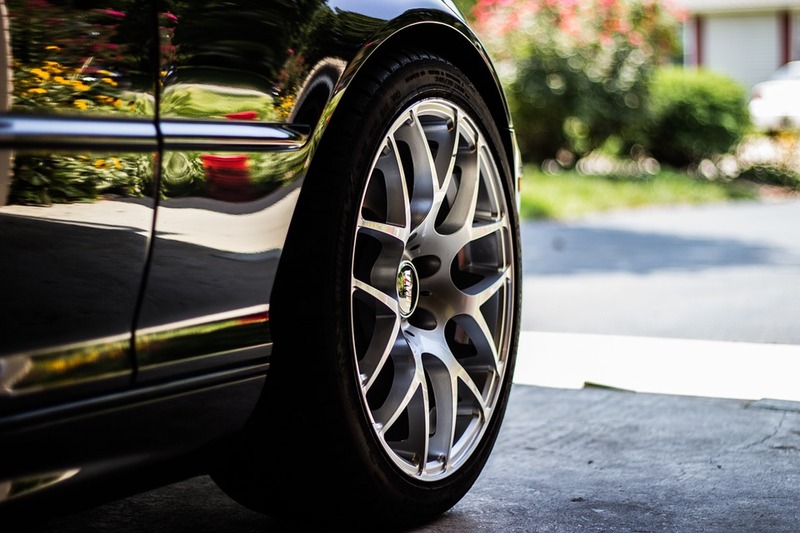 Although some say that over-pressuring the tires help protect the wheel components against impact, stiffer tire structure can transmit more force from a strong contact than tires that are a bit more flexible. To get consistent readings, check the pressure when the tires are cold. If adding air to hot tires, leave a pound less than usual. If you live in a place with colder season, make sure to check tire pressure on frigid mornings as air pressure drops 1 psi for every 10 degree drop in temperature. With cold, stiffened rubber, the loss of pressure sometimes cause tires to spring unexplainable air leakages. Running your car at low tire pressure for an extended period of time can damage the sidewall of your tire. A little fold begins to damage the structure of the tire’s rubber. Eventually, the sidewall folds enough that the inner edges of the tire touch and start to scrub off the rubber material, leaving handfuls of rubber dust inside the tires. Over time, the tire slowly deteriorates, which will then trigger the ‘low tire pressure’ light in the dashboard to lit-up. 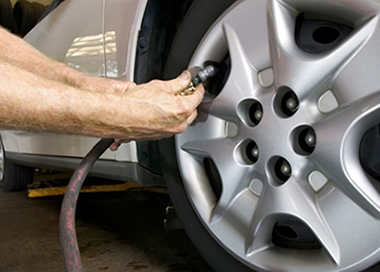 According to surveys, many car owners in Singapore are driving cars with under-inflated tires. The cause of this problem is that the tires lose air gradually through constant use, so slowly that most drivers do not realize that it’s happening. Changes of temperature in the environment also cause a drop in the tire’s pressure. Because the tire sidewalls fold more at lower pressures, under-inflation compromises the control that the tire provides. A small loss of pressure, such as 3 psi, can significantly affect the vehicle’s handling, making it harder to control. Additionally, under-inflated tires negatively affect the fuel economy, costing you more money in the long-run. Ensuring that your tires are in their best condition is critical for safe driving. The tires are among the most important car components; therefore they should always be in their best possible shape. To know whether your car is running a safe set of wheels, bring it to a car maintenance company for check-up.